October 1, 2009, Rev. Al Sharpton and former Speaker of the House Newt Gingrich toured BASIS, a nationally recognized charter school in Tucson, Arizona. 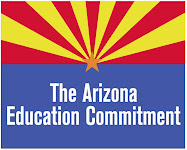 While a banner day for Tucson, it was just one of many stops this "political odd couple" would make as part of President Obama's "Race to the Top" challenge to our nation's schools, which "is an unprecedented federal investment in [educational] reform. [Secretary of Education, Arne] Duncan will reserve up to $350 million to help states create assessments aligned to common sets of standards. The remaining $4 billion will be awarded in a national competition." The second half of this past Sunday's "Meet the Press" featured both Rev. Al Sharpton, Newt Gingrich as well as Secretary of Education, Arne Duncan. Together, the trio discussed their perception of the state of education in our nation, as well as what is working, what isn't working, and where improvements can be made. While disagreements on how we go about arriving at success remain, a succesful outcome is a shared objective; one in which all three agree partisanship has no place. It seems to me there is a great deal our legislature could learn from these "political polar opposites". While the challenge reaches into every state across the nation and threatens political capital, this interview was a clear example of how civility can be the first step towards success. Decorum never took a back seat to ideology. Respect never took a backseat to partisanship. At the end of the day, this for me, a parent of school-aged children, is a clear example of how it IS possible for legislators on both sides of the aisle to rise above the partisan rancor and take the politics OUT of educational issues facing our state's future leaders. If every invested organization, legislator, superintendent, voter can remove the politics from the debate over best practices, we may be able to put down the swords long enough to spare the educational future of our state's children. Because at the end of the day, it's their future we're all betting on. And the stakes have never been higher. Learn more about possible solutions by clicking here.